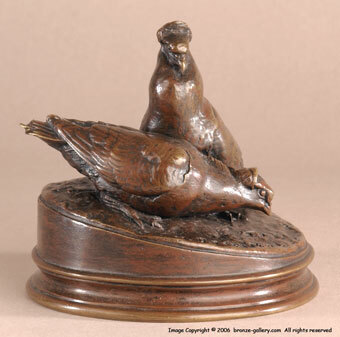 This small bronze of Two Pigeons is taken from the larger group of a Griffon Dog watching Pigeons and it is a rare model. Mene was a master at creating large groups and then using parts of them as separate sculptures. 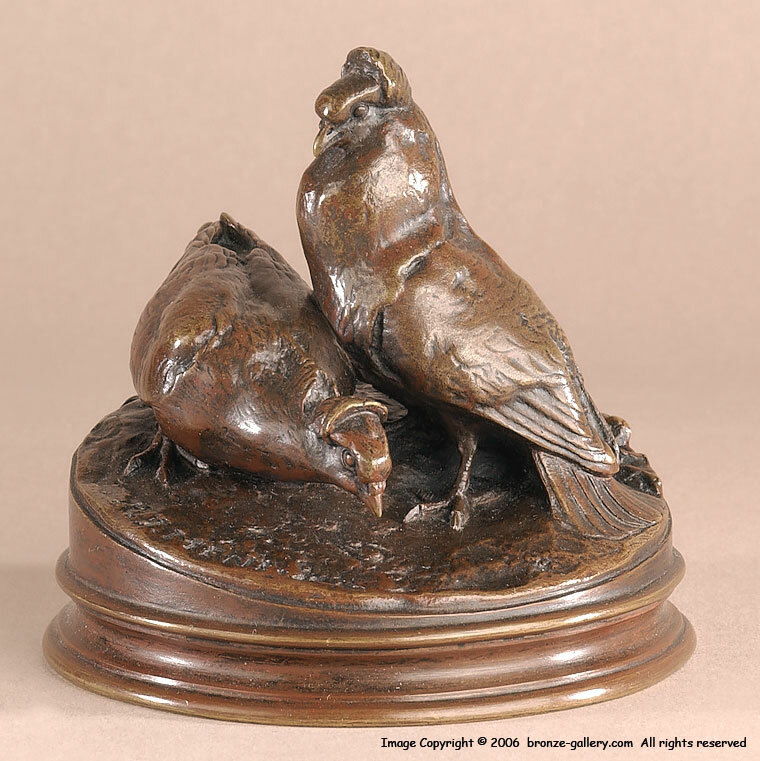 Set on a round base, the model of the Two Pigeons works very well on it's own, the male Pigeon watches over his mate while she pecks for food on the base. The bronze has good details and is finished in a rich brown patina, it is signed P.J.MENE.